With Antoine Griezmann confirming this week that he is staying at Atletico Madrid, as a transfer to Manchester United would be ‘a dirty move’ with Madrid receiving a transfer ban, United are now on the look out for a new transfer target. Romelu Lukaku continues to be linked, but here I look at five targets not from the Premier League who could interest Jose Mourinho. At the time of writing there is talk that Morata has become United number 1 transfer target. The Spaniard re-joined Real Madrid in the summer after an impressive Euro 2016 and two year spell at Juventus. He is rumoured to want out of Madrid due to his lack of game time, but has still managed to score 20 goals in all competitions this season for them. Strong and powerful and still fairly young at 24, he could be a great signing for United. 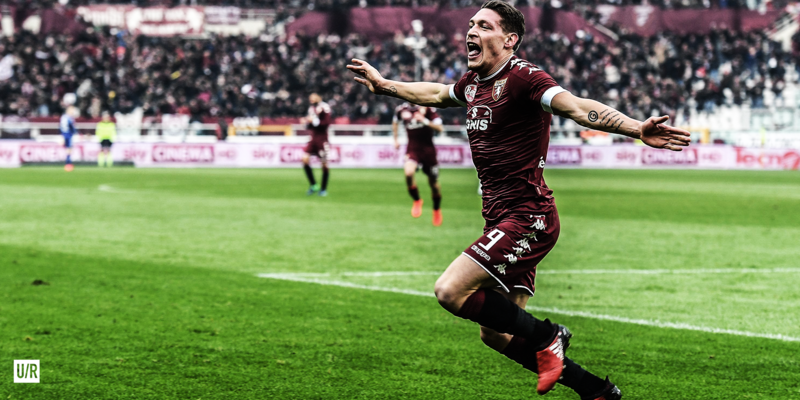 What a season Belotti has just had. The Italian scored 28 goals in all competitions in his first season at Torino, making him one of the most sought-out striker in Europe. He is also a very intelligent footballer picking up eight assists this season to add to his goals. Like Morata he is also very young so a big transfer fee will be just able if he continues to build on his superb breakthrough season in Italy. This young man needs no introduction. At 18 years old he has broken into Monaco’s first team scoring 26 goals, including six in the champions league, and gaining 11 assists as Monaco won their first Ligue 1 title in 17 years. This form has interested Real Madrid and Arsenal who are apparently willing to break the world-record transfer fee for a player to gain his services. There are reports that United are close to joining the party for him and there is no doubt that with a goal every 101 minutes he will become Old Trafford’s newest hero. Icardi is a unique talent. He is known for his controversy off the pitch, such as sleeping with his ex-team mate Maxi Lopes wife and criticising the Inter Milan ultras in his autobiography. However, on the pitch he shows he can walk the walk as well as talk it scoring 78 goals in 146 games for Inter Milan, including 26 this season. Icardi posses such clever movement to get away from his marker, and due to his controversial nature he rarely gets picked for Argentina meaning their is no risk off losing him to injury during international breaks, something which hampered United last season. United fans didn’t see to much off Kasper Dolberg in the Europa League final, as Daley Blind kept him quiet. It was a good thing Blind did keep the Dane at bay, because on form he is a problem to any team. Like Mbappe and Belotti, Dolberg has had a breakthrough season, scoring 23 goals for Ajax this season. He was voted Danish talent of the year in 2016, and well as Ajax talent of the year which is a bright start to the 19 year olds career. The only blow for United is that there are rumours that he wants to stay at Ajax for another year to develop his game, so they would have to wait to get him.